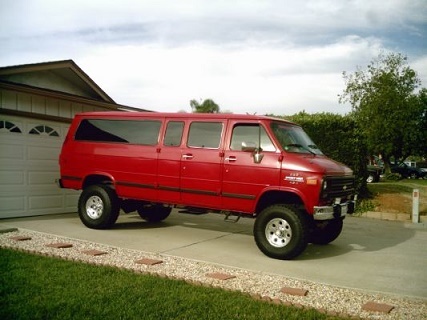 Here's a few Transit vans that actually look pretty cool, and the conversion van lives on. In addition to my '75 Ford , I have a 2016 Ram Promaster shorty that's just stock, but there's a ton of Transits, Sprinters and Promasters out there with amazing DIY conversions. You can find them on vehicle-specific forums. Last edited by oldskool73; October 01st 2018 3:32 pm. That's true, but no worse than the price of some trucks out there. Plus the Vans look oh so comfy. I've never seen a shorty Promaster before. Nor Transits or Sprinters for that matter. Reminds me of the earlies. Last edited by KeVan; October 04th 2018 10:24 am. The company I retired from bought some Transit 2500 Fords for HVAC service vans. The guys hate 'em. The Ecoboost has no power, according to them, unless it's really buzzing hard. The brakes have been an real issue as well with 12K intervals between brake jobs. With most of the vans now at 80K to 90K the maintenance costs have been much higher than the old Fords, even when the old Fords had +200K. They do run loaded, in city traffic, but so did the old ones. 1 registered members (tuner4life), 3 guests, and 1 spider.